Legal Talk Network is a podcast network for legal professionals with hosts from well-known organizations and brands in legal, including the American Bar Association, ABA Journal, Thomson Reuters, The Florida Bar, Robert Half Legal, Above the Law, and Northwestern Pritzker School of Law. Over 20 active podcasts cover important legal news and developments, including access to justice, law school, industry events, legal technology, and the future of law. Notable guests include Marcia Clark, best known for prosecuting O.J. Simpson, Erin Brockovich, Dean Strang from Making a Murderer, and general counsels from major corporations including American Express, Verizon, and Google. Legal Talk Network is the leading producer of legal-related podcasts with its studio headquarters in Denver. It was founded in 2005 and acquired by Lawgical in 2013. 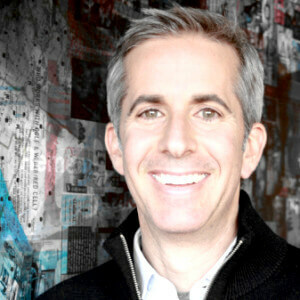 Adam Camras is the Chief Executive Officer of Legal Talk Network. He has been involved in the legal industry for over a decade and enjoys learning about the latest technology and trends affecting the industry. Adam travels the country for speaking engagements, to attend conferences, and to meet with members of the legal community. You can follow Adam on Twitter at @AdamCamras. Trent Carlyle is the Chief Technical Officer of Legal Talk Network. Prior to founding Legal Talk Network's parent company, Trent earned his MBA from Colorado State University and went on to build and grow a number of software and Internet start-ups. Trent works very closely with the technology and marketing teams overseeing product development. You can follow Trent on Twitter at @TrentCarlyle. Jim is currently the COO and General Counsel of Legal Talk Network. Jim is an attorney and business executive who has been heavily involved in media and law. He was the SVP responsible for digital content distribution at Sony, including films, music and eBooks in the US and Japan. After receiving his J.D. and MBA, Laurence Colletti went into solo practice with emphasis in general business and commercial real estate. He has always carried a strong passion for web-based media with a particular interest in podcasting and video. Laurence leverages his legal background against that passion to help bring sophisticated, relevant content to Legal Talk Network podcasts. You can follow Laurence on Twitter at @LaurenceEsq. 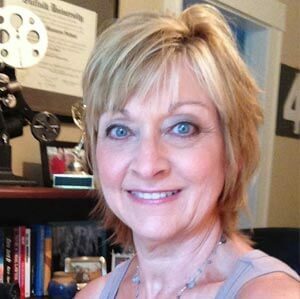 Kate Nutting has a diverse background that includes radio production, administrative work, marketing and public relations. As a producer for Legal Talk Network, Kate books guests, writes scripts, and manages show topics and processes while keeping an eye on what is newsworthy and relevant to attorneys today. Kate received her B.A. from Providence College in 1996 and has worked in a variety of production settings, including as a producer for Boston Media Group. Adam Lockwood is a graduate of the University of Colorado Denver School of Music Entertainment Industry Studies. He graduated with a degree in music business and vocal performance. Coming from a church production background, he has had a wide range of experience in live sound and studio recording. Aside from his work with Legal Talk Network, Adam is passionate about his family, the outdoors, and songwriting. You can find him online and performing in the Denver area. Follow him on Twitter: @adamlockwood. In her position as marketing coordinator, Sam writes podcast descriptions, blog posts, and social media, as well as handling publishing. When not in the office, Sam is a photographer and writer who likes to fulfill the stereotypes that go along with those things by sitting in coffee shops and drinking chai. You can follow her on Twitter @samcole365. Jeremy is a web designer with Legal Talk Network. For over 15 years he has built websites for both large and small companies. Jeremy considers himself a web generalist, with an emphasis on front-end design and development. Chad enjoys building and fixing all types of things. At Legal Talk Network, that mostly entails software. Chad strives to find simple and elegant solutions to complex problems. Gerard is the Director of Finance at Legal Talk Network. Prior to Legal Talk Network he spent over 20 years running finance and operations at Los Angeles law firms. In addition to his work in finance and law, Gerard is a member of the US Fencing team and four time paralympian. He also is a member of the LA Clippers Chairmen wheelchair basketball team and sits on the board of nonprofit organizations advocating for the disabled. Founder of Legal Talk Network in 2005, Lu Ann's career spanned 20 years as a two-time Emmy Award-winning Television Executive Producer turned entrepreneur, developing online media and marketing strategies for target audiences. Lu Ann is President of Boston Media Group, LLC and Executive-in-Residence at Emerson College’s School of Communication in Boston. 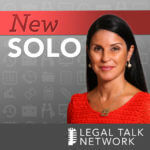 She has an MBA, a private pilot’s license and she considers herself lucky to work with the great team that acquired Legal Talk Network in 2012.